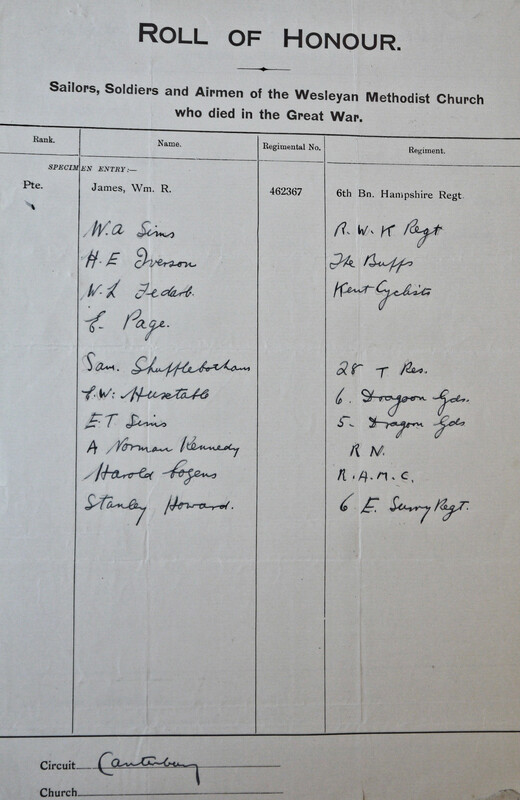 Another page on this site shows the memorial plaque in the chapel, which lists 16 names. There could be a number of reasons for the discrepancy. Listed as Howland on the war memorial. 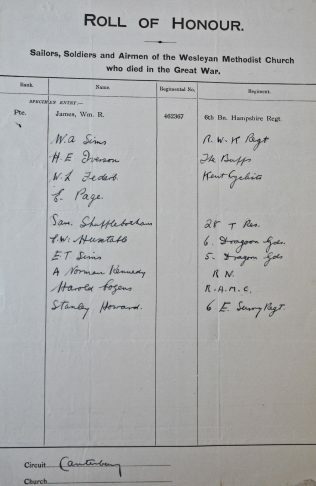 No record on the Commonwealth War Graves Commission site of a man of either name serving with the East Surrey Regiment.